Gorgeous vistas of historic Old Town and the distant bay entice many to the cozy, tree-lined streets of the Mission Hills district. 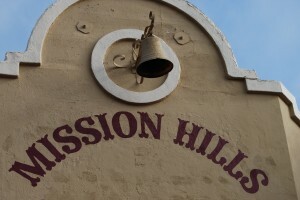 One of the oldest neighborhoods in San Diego, Mission Hills lies between enchanting Old Town and lovely Hillcrest. The community retains much of its small-town atmosphere and heritage in spite of offering easy access to Interstate 8 to the north and Interstate 5 to the west. Midtown and downtown San Diego are just minutes to the south of this appealing community. Living in Mission Hills is the ultimate San Diego experience. Settled in the late 19th century, the district boasts a cohesive spirit, plentiful community festivals and activities and beautiful historic homes. A rich tradition of independent and innovative businesses fill the area, including one of the earliest establishments, Mission Hills Nursery. The nursery was created by noted horticulturist Kate Sessions, who was instrumental in establishing the Mission Hills community. From charming craftsman bungalows to Spanish and Dutch colonial styles, Mission Hills overflows with unique, historic residences. More than 100 heritage homes present many architectural styles and help to create the neighborhood’s welcoming appeal in Mission Hills Historic District. Once a streetcar suburb, the Fort Stockton Line Historic District showcases its own bountiful charm with inviting homes that once surrounded Streetcar Line No. 3. Spectacular estates edge the area’s many canyons, offering incredible views and secluded, spacious living. Grant School, a kindergarten through 8th grade public school. St. Vincent School, a private Catholic institution. High school students may attend either Point Loma High School or San Diego High School, noted for its stellar School of International Studies. 10-acre Pioneer Park, featuring a junior boot camp, numerous community festivals and events, a playground, tennis courts, the annual Fourth of July Celebration and access to Robyn’s Egg Trail. Many Mission Hills neighborhoods are also next to the magnificent 40-acre Presidio Park, Heritage Park Victorian Village and all of the and historic sites of Old Town. Mission Hills is an ideal community for families, retirees and professionals looking for the consummate San Diego lifestyle. Historic homes and extraordinary estates fill the closely knit neighborhoods with a captivating charm that exudes a small-town ambiance, while keeping residents near all of San Diego’s best features.